Sept. 19, 2018, 2:22 p.m. In his role as head of Innovation Networks in Corporate Innovation at Evonik, Dr. Christoph Weckbecker establishes diverse relationships with universities, industrial partners and start-ups. Evonik’s vision is to become a leader in innovation. To promote this, the company is open to outside ideas. What is your experience so far with open innovation? For a modern, research company such as Evonik, open innovation is the ideal method to supplement the knowledge that has been developed in-house over many years, and our existing competencies, with know-how from partners outside the organization. With open innovation, Evonik can work together with partners to quickly open up new research fields and technologies. We make use of university and cross-industry partnerships to gain access to new value chains. Entrepreneurship is an important topic for us and therefore we are delighted to cooperate with start-ups. Open innovation, for Evonik, means external cooperation, but there is in fact a very dynamic innovation culture within the company. What is your personal highlight? Just as Evonik is intensifying its collaboration with external partners, we are also working to strengthen our internal cooperation across segment and business-line boundaries. In the biotechnology and catalysis areas, the links have led to several new projects being set up and many innovative products being developed. 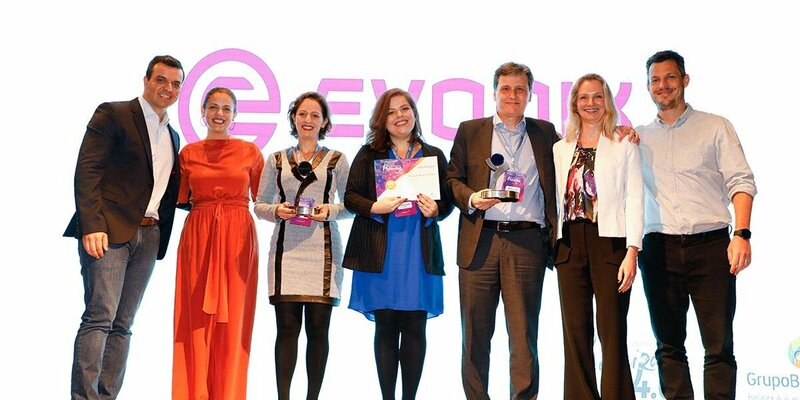 My personal highlight is the Evonik Ideation Jam, which we have been running across the Group for many years now, and through which we honor promising business ideas from our employees. The winner of the ideas competition is designated ‘Entrepreneur of the Year’ and is given the opportunity to work exclusively on the new idea for a whole year, with support from a team of experts from across the Group. Corporate entrepreneurship is a key milestone in our open innovation culture, in which people can try out new ideas without fear of failure. Evonik is renowned for its many years of cooperation with students, be it through student networks or cooperation with professorships. Without doubt, this is important for Evonik to enable the company to find out the latest research developments relevant for the company. What are the benefits for the students in your opinion? For students, it is of great value to get a taste of the topics and the corporate culture of a company before committing to a professional career. Through the company-wide employer branding campaign #HumanChemistry, there are many opportunities, both online and offline, to get to know Evonik as an attractive employer with a creative environment. In addition, we offer internships or support with masters and doctoral dissertations at various company sites across the globe, and these frequently lead to long-term relationships or permanent positions. Beyond the classroom, it is important to understand how innovations are handled in industry and what topics are economically relevant. As an internationally operating specialty chemicals company, Evonik’s innovation unit has cooperation projects in virtually all regions of the world, how is this open exchange of ideas practiced in other cultures? Can you tell us what motivates you in this world where the only constant is change? Earlier this month, at our “Evonik meets Science” event in Berlin, we hosted about one hundred university professors and many Evonik innovators to facilitate an intensive exchange of knowledge and ideas—a well-established event, which we also hold in the U.S. and Asia. The inspiration gained from direct contact with people and topics motivates all sides and provides food for thought and new ideas—which may become the next new innovations! You want to read more about Innovation Networks? Click here!